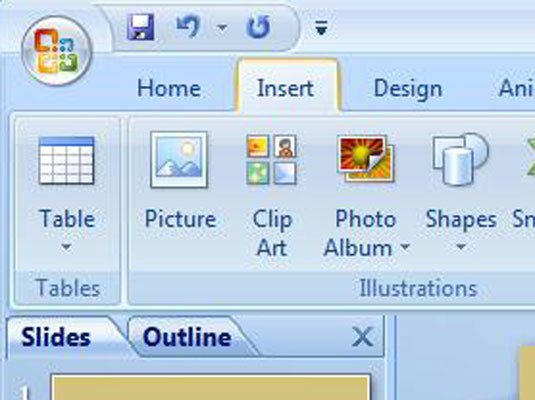 On the Home or Insert tab, open the Shapes gallery. The Action Buttons category appears at the bottom of the gallery. The action button is selected. 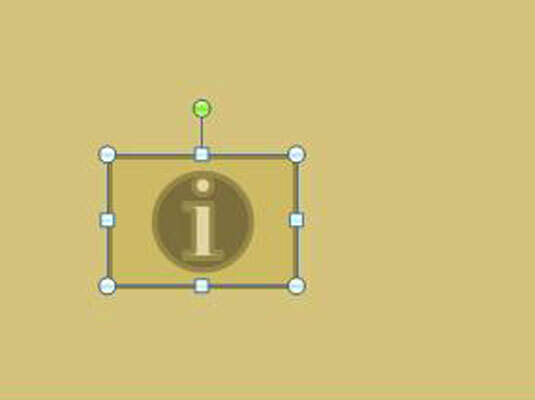 To do so, drag the pointer in a diagonal fashion. 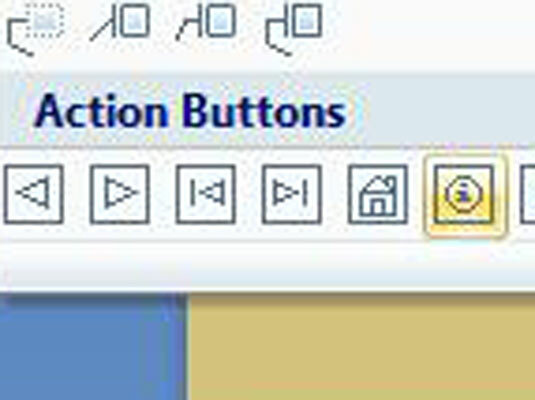 The Action Settings dialog box when you finish drawing your button. (Optional) Select the Mouse Over tab. 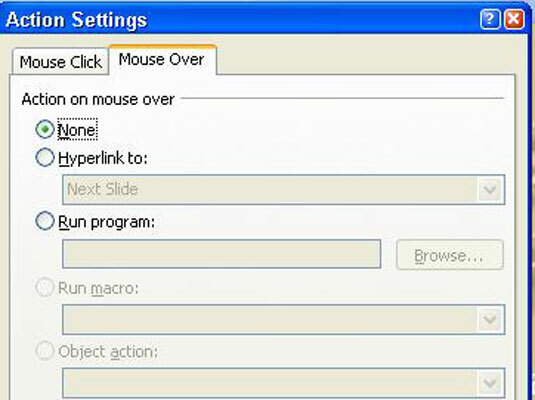 Choose this if you want users to activate the button by moving the mouse pointer over it, not by clicking it. Here you can select what to link to. On the Hyperlink To drop-down list, choose the action you want for the button. You can go to the next slide, the previous slide, the first or last slide in a presentation, the last slide you viewed, or a specific slide. 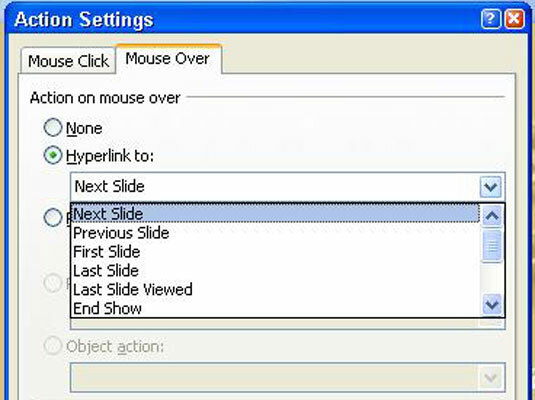 To make clicking the action button take users to a specific slide, choose Slide on the list. 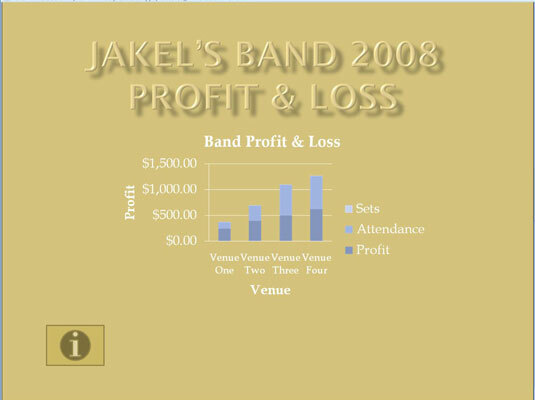 You see the Hyperlink to Slide dialog box, which lists each slide in your presentation. Select a slide and click OK.
To play a sound when your action button is activated, click the Play Sound check box and select a sound on the drop-down list. 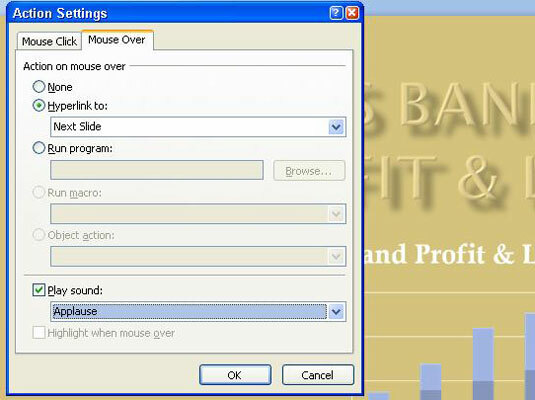 Mouse-over hyperlinks need sound accompaniment so that users understand when they have activated an action button. To test your button, switch to Slide Show view and click it.